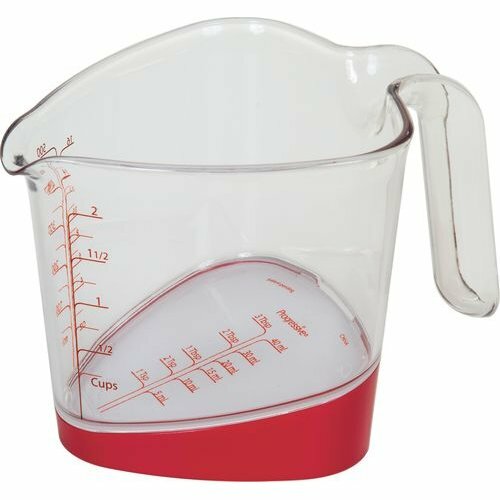 Our top read liquid measure all takes the place of countless measuring tools in the kitchen. The tilted measuring surface displays measurements from the top down. Standard and metric measurements are easy to read along the side and the inside base of the cup.